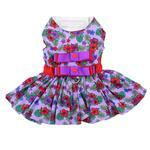 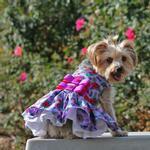 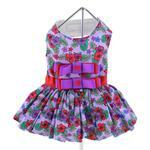 Our New Purple and Red Floral dress is set to be one of the most popular items this Spring! 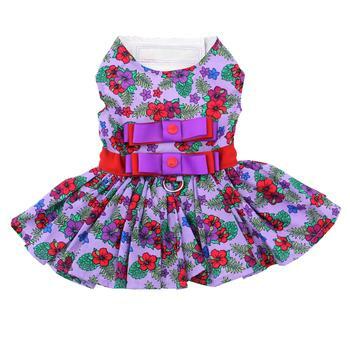 With two matching ribbons across the back this dress is simple enough to be an every-day wear or stylish enough for any special occasion! 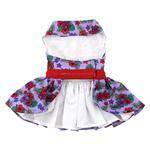 Includes a matching leash, a sewn in D-ring for easy walking and has heavy duty hook and loop closure for added safety.